Read more about travel to Jordan here. Dust rose from the ground as the horse thundered past and the sun began its ablutions. It painted pinks and pomegranates, amber, pistachio, charcoal and soft apricot rust across the walls of Petra before calling it a day and turning in for an early night. A donkey stamped its foot in the chalky rock. Colour faded to grey, while my muscles trembled with fatigue. Petra at sunset isn’t a place you want to leave. It looks beautiful, you feel hot and tired and there’s a professional army of touts with a menagerie of animals whose job it is to make you stay. Donkeys, camels, horses, chariots. They all promise to make your journey easier and to let you stretch out time itself. Time has a habit of playing tricks on you in Petra, not to mention the truth. When I first saw The Treasury, strawberry stone columns peering between a tear of jagged darkness, I felt thrilled. As though I was uncovering an ancient legend myself. As for the ancient part, well, like the fast-growing ivy colleges in the US, it turns out that Petra’s not as old as it looks. The Treasury has celebrated a mere two thousand or so birthdays, a cheeky child with freckles when compared to the crumbly Egyptian Pyramids or the rocky giants of Stonehenge. Right now, though, I have more than a few thousand years to worry about. I have about fifteen minutes. The flashlight from an official brings me back to the present and I rally the sinews of my less than heroic muscles and attempt to stride but tend to hobble towards the exit. Petra, as you probably don’t need me to tell you, is incredible. You may need me to tell you that it is vast. This city, built by the Naboteans, “inherited” by the Romans, lived in by the Bedouins and “discovered” by the Swiss – is colossal. Huge. A Roman-style theatre designed for around 3000 people registers as something of an afterthought, dwarfed as it is by everything else there is to see. Petra spreads over 250 square kilometres (depending upon your source) – and the only realistic way in – and out – is by foot. In fact, transport in Petra has become something of a political circus, with a near farcical arrangement of options. In the past, local Bedouin on horseback would charge through the kilometre-long gorge, with travellers crammed into their wagons behind. As Petra’s fame and popularity grew, however, problems arose since the gorge, or siq did not grow one inch. “Eventually, authorities decided to ban horses in the siq altogether,” said my guide, perhaps an unreliable source himself as a horse-drawn chariot stormed past us into the gorge, drowning out his words. “That’s different,” he said, although he never explained why. 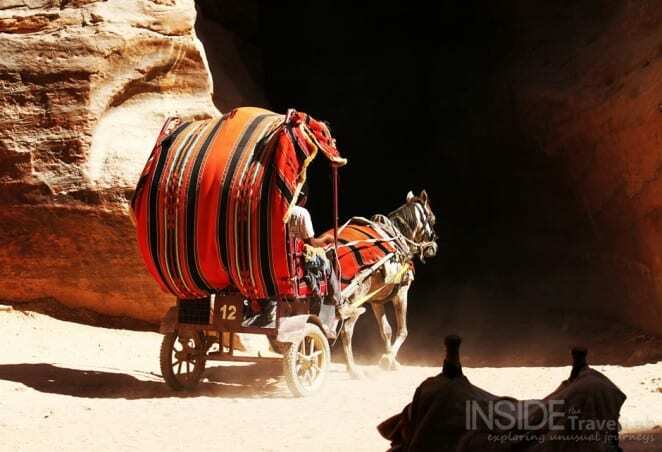 The official line seems to be that Bedouin horses can travel the few hundred metres from the ticket gate to the entrance of the Petra gorge, with approval for a few carriages to travel on further than that. A short – and rather stunted – effort. As a first time visitor, though, I found the sight of the horses incredibly atmospheric. They’re ridden with a ferocity and abandon I’d not seen before. Flowing robes and jet black hair streaming into the wind. Clouds of purple-pink Petra dust thrown into spirals and hanging in the heat-soaked air. It’s what dreams and legends are made of. But perhaps not thin cotton trousers. To preserve the skin on my thighs, I staggered on towards the gate, feeling a mixture of both gratitude and joy. For my time in Petra wasn’t over yet. I would soon be back – for Petra at Night. Disclosure: I visited Jordan as a guest of Visit Jordan. 1 – Wear comfortable clothes. You will spend A LOT of time walking and standing and there are few opportunities to rest. 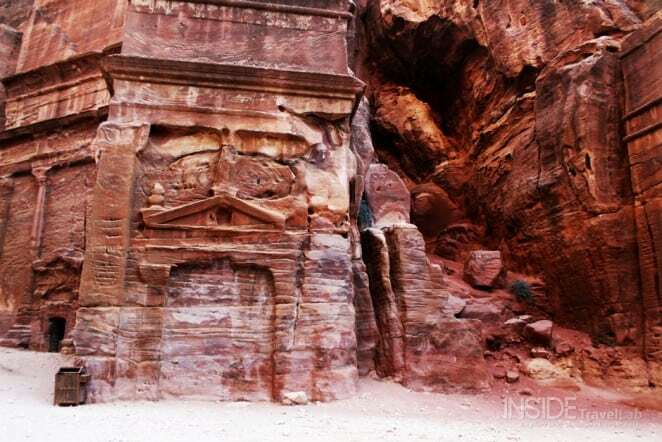 2 – Take account of the weather in Petra, Jordan. It is HOT. Take water, sunscreen, hats and long-sleeved tops and trousers that run to the ground. 4 – Plan nothing else for the rest of the day. 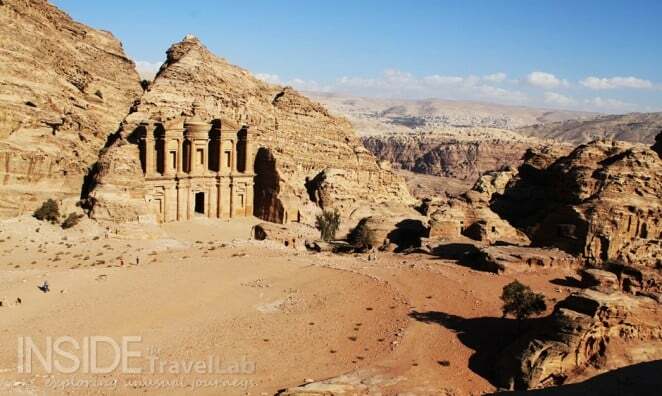 5 – Stay at a hotel near Petra, Jordan to make the most of your time. I stayed at the Movenpick Hotel Petra which is almost as close as you can get. 6 – Be prepared to take a LOT of photos. Batteries charged. Spare film at the ready if you’re the retro travel type. 7 – Keep an eye on the time and check the closing time as you head in. Distances are huge so make sure you can get back to the entrance gate in plenty of time. 8 – Plan to arrive the night before and, in my opinion, leave the night after. 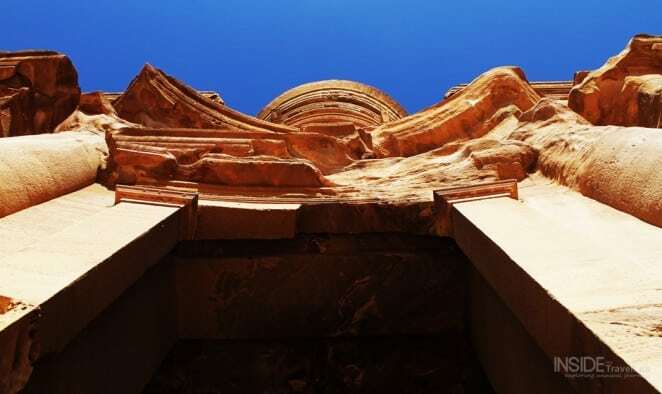 To make the most of a visit to Petra, it pays to take your time. 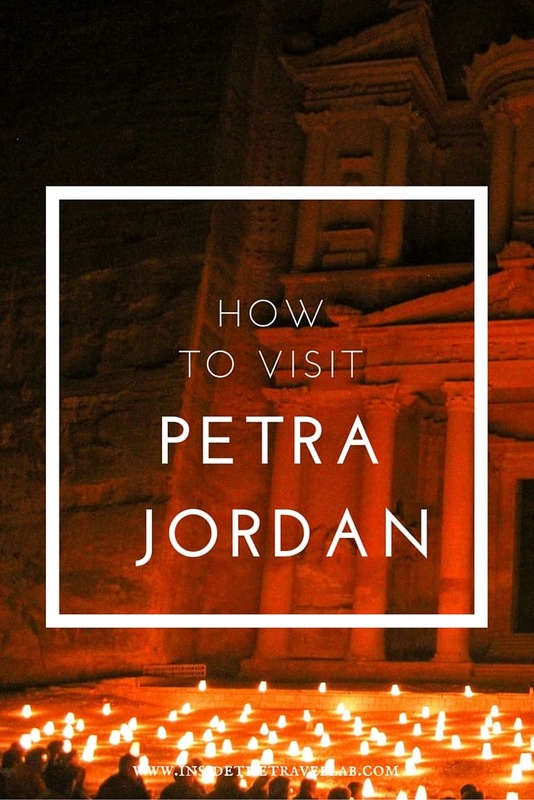 9 – Don’t miss the Petra at Night experience. It’s simply amazing. 10 – If you’re looking for something else to do while you’re nearby, take a Jordanian cooking lesson. 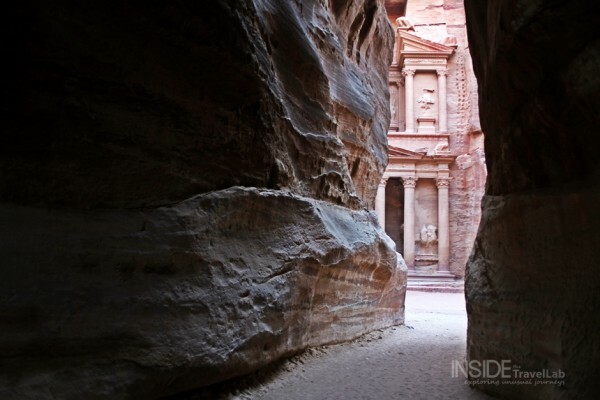 Have you ever visited Petra, Jordan? Would you like to go? Thank you – although it’s hard to take bad pictures there, really, as it’s absolutely stunning. Beautiful post and stunning pictures. 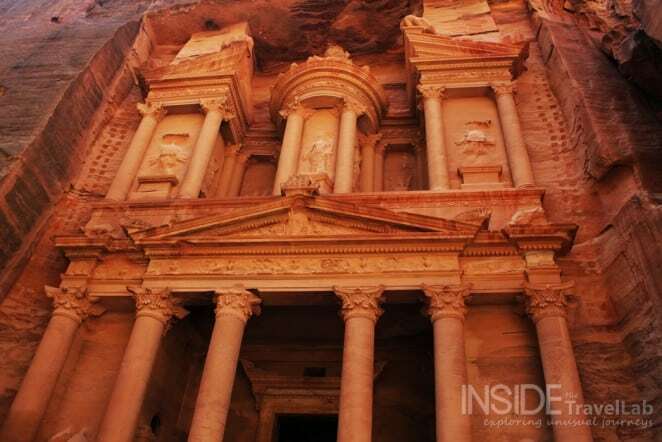 I haven’t been to Petra, I’ll probably be heading to the Middle East early this year and Jordan is very high on my list. Oh…enjoy. I’ve noticed something of a trend to knock famous places like this over the last few years – and it’s a shame. There’s a reason why it’s so famous. 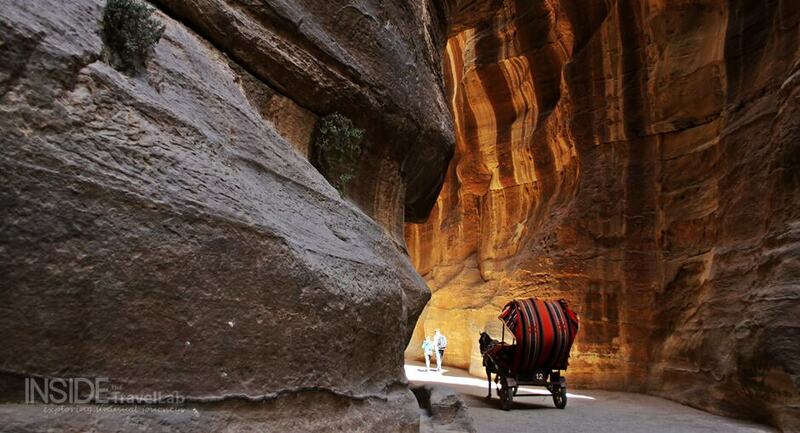 I want to take a carriage through Petra! How cool. Also (no big surprise), I love the weary camel. Isn’t he great? Pretty much sums up how I felt by that stage! I love the first line of this post. I was drawn in and swooning. Great photos too! One of the places I’ve been dying to get to and Shaun will be able to live out his Indiana Jones fantasy. :P Loving the picture of the sleepy camel. 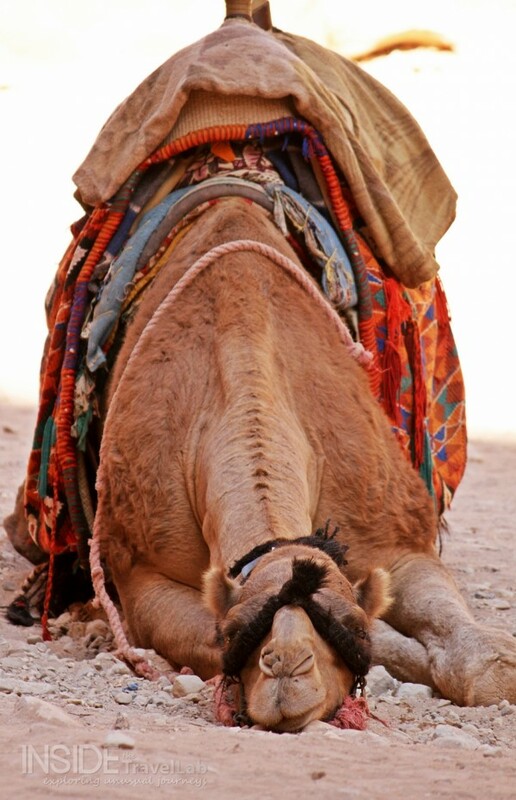 I love the tired camel photo! Actually, I love them all! I’m with Stephanie, that camel sleeping is awesome!! Love the pics. Nice post, you’ve captured well what was also part of my experience there. 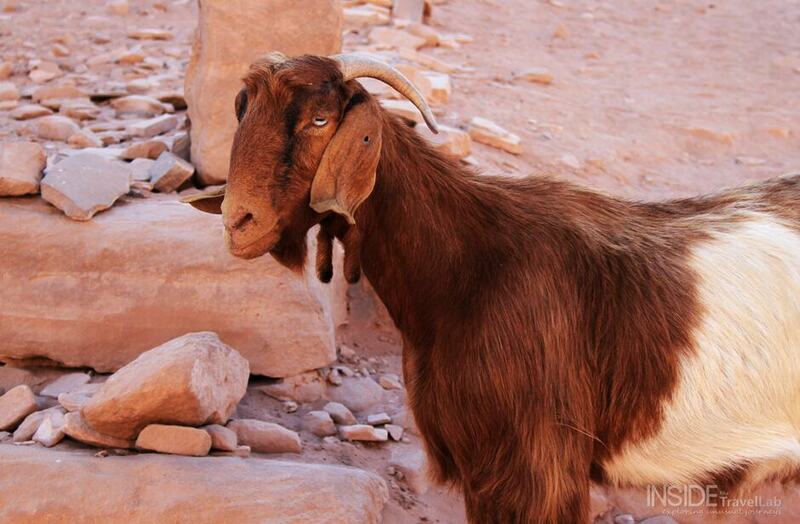 I do have one question about your photos, however — does the goat have a hangover? 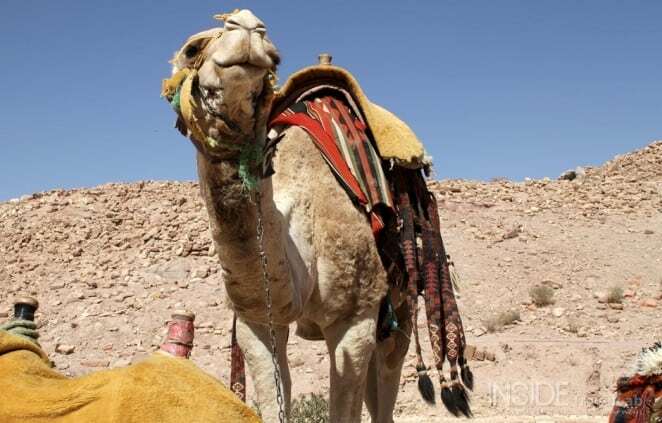 I love taking photos of camels – they’re both photogenic and cantankerous! On holiday in Israel, we visited Petra 2 years ago and I love your description and photographs. It was exactly as you say but I could never have brought it to life as you do. I visited Petra quite a number of times when I worked in Tabuk/KSA and Iraq from 1979-1981. After 30 years I visited Jordan again last September, but the time was not enough to go to Petra this time. Since I plan another trip to Jordan this year and with more time, I hope to be able to visit Petra again too. Yes, I think it would be so interesting to spend more time there. The colours of the rock change so much throughout the day – and the complex itself is so big. Fascinating. Gorgeous pictures too. I’ve always wanted to go and this makes me want to even more. Thank you. It’s wonderful when something exceeds expectations! Nice one, Abi! I’ve gotten somewhat burnt out on all the Jordan posts lately, but appreciated the unique angle your story took, as well as the fantastic photos! I would love to visit Petra. It seems like such a mysterious place. Oh how I do like dipping into your archives! A couple of friends and I have booked flights to Amman for 5 nights in September, we have The Dead Sea and Petra on our ‘to do list’ which I suspect will take up quite a large amount of our time, but I was wondering if you had any other suggestions or tips? Did you go to Mount Nebo? Is there anything we should avoid? First of all, sorry for the slow reply. There was a family emergency this summer which made it difficult to respond to everything here. As for things to avoid? I wasn’t won over by Aqaba on the coast so as you’re pushed for time, I’d give that a miss. I really hope you enjoyed your trip and once again, apologies for the slow reply. Great photos and excellent writing. You really captured it. But no mention of the 800 steps to the… I don’t even remember what it was, I was so tired! 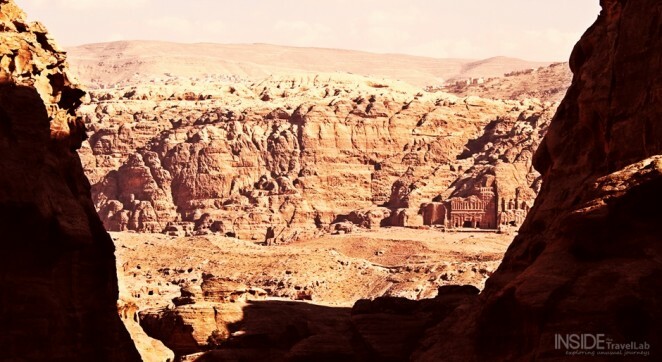 I first visited Petra about ten years ago and immediately fell in love with the place. I have been back a couple of times since, the latest in October 2012, as an independent traveller, when I spent three days exploring much of the area not normally visited by tourists. It was an amazing experience with hardly another person to be seen.However I was saddened because the passage from the Siq to the Monastery is now so commercialised. I understand the local Bedouin need to make a living but I think the Jordanian government have got the balance wrong.